“While we understand that a graduate fashion show is about grabbing attention and headlines, we do have concerns that using a living creature to create a novel or unusual accessory encourages people to see them as replaceable ornaments, rather than living creatures in need of care and commitment,” an RSPCA spokeswoman said in a statement. The bag designs could also lead to poor water quality and insufficient oxygen for the fish, she added. The fish left their bowl only for the duration of the catwalk run, according to Walters. “They have been fed regularly and will return home with [Green] today all in excellent health,” he said. As a loving pet owner i feel bad for my fish at times keeping them in the same bowl all the time. I would love to show take them places like you would take a dog or cat. 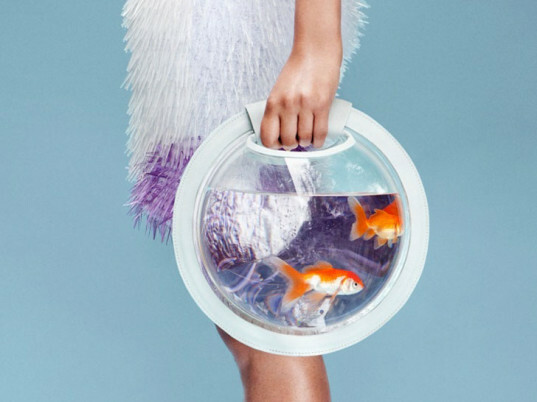 I am for this but think it should be made safe so the fish will not get thrown around in the bowl. Cassandra Verity Green is no stranger to strong opinions. 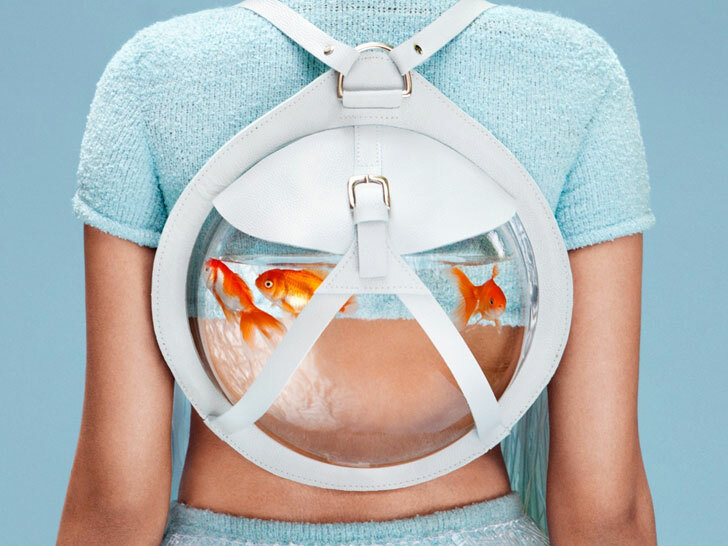 The Central Saint Martins alumna, who recently completed a degree in fashion design with knitwear, caused a stir at the school's graduate show in May when she paired her Esther Williams-inspired collection with perspex fishbowl backpacks and purses. Although the multihued, multitextured ensembles, which combined intricate beading techniques with seaweed-like knits, drew their share of plaudits, all eyes were on Green's unexpected guest stars: her own pet goldfish. "Her bold statement triggered both criticism and admiration from her audiences," notes online retailer Not Just a Label, which will stock Green's upcoming ready-to-wear line later this year. "[But] isn't this what contemporary fashion is all about?"